This meditation gives immediate relief to any wavering spaced-out mind. When there is so much insanity around that medical and psychiatric help fail, this will not. Practicing the kriya gives the capacity to still the most restless mind. If you're going to tell someone to do it as therapy, make sure you’ve practiced it yourself! Sit in easy pose with a straight spine. Relax the arms and hands in any meditative pose. Focus on the tip of the nose and breathe normally through the nose. Open the mouth as wide as possible. 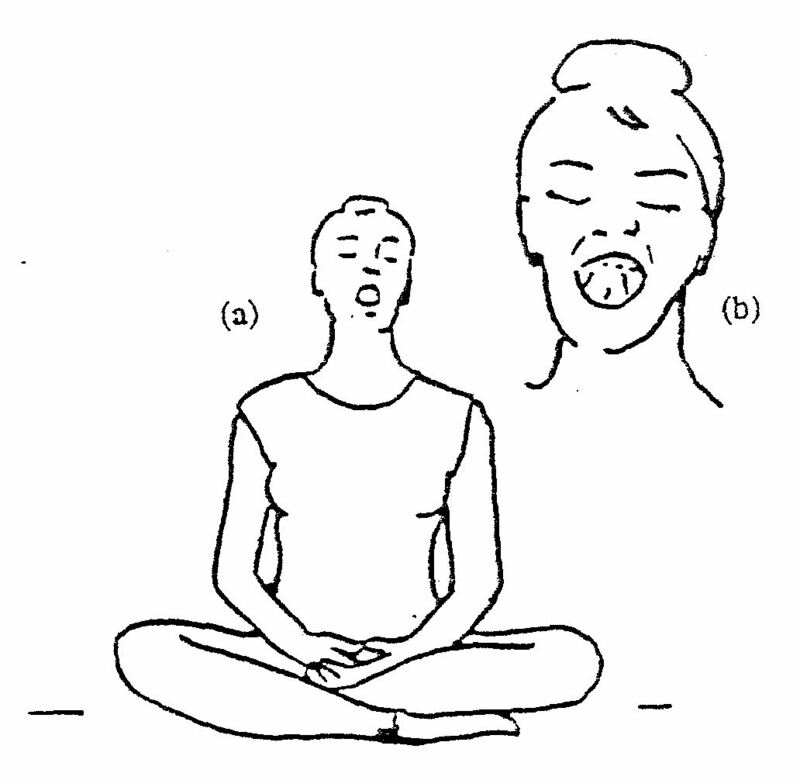 Touch the tongue to the upper palate. Start with 3 to 5 minutes of practice, with a maximum of 11 minutes. With practice, it can be done for 31 minutes.